We understand that an arrest can be a difficult time for you and your family. This page will provide you with a brief glimpse into the start of the criminal proceeding against you. If you are charged with a crime such as a DWI, you should call our firm at 914-723-7900 for a confidential consultation. In New York, you can be arrested and charged with an assortment of crimes. The majority of people arrested in New York will face misdemeanor charges. 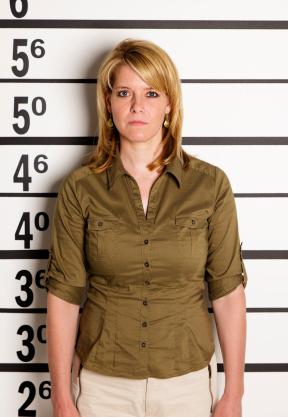 Upon being arrested for a petty crime, you may be arraigned at a police precinct by a desk sergeant. However, the majority of people arrested will be arraigned in court by a judge. The arraignment is start of the criminal case. You will receive formal charges and be notified of your rights. The prosecution may serve you with written notices and documents as required by law. The arraignment is not a trial or evidentiary proceeding. You are not expected to call witnesses or provide documents that will prove your innocence. The purpose of the arraignment is to start certain statutory rights and to set bail if necessary. Because your guilt or innocence is not established, the arresting officer and complaining witness are not required to appear in court. At the arraignment, the presiding judge can either set a monetary bail or grant an ROR ("release on recognizance") on behalf of the defendant. An ROR the processes whereby bail is set and a defendant is allowed to leave court without posting any money. Some defendants will have bail set. The purpose of bail is to set a dollar amount that will ensure the defendant will voluntarily return to court. If the defendant fails to return to court the bail will be forfeited and surrendered to the state. If the judge does set bail and the defendant cannot post it, the defendant will remain in jail for the duration of the case unless bail is lowered by a reviewing judge or the District Attorneys fails to “covert” the case within statutory guidelines. If a defendant fails to return to court, bail will be forfeited and a warrant will be issued their arrest. Under CPL 710.30 the prosecutor must provide the judge and defendant notice that they intend to introduce certain evidence at trial. This is usually notice of a statement or identification. Their failure to properly do so could prevent that evidence from coming into evidence.